Let us help you plan your special Wedding Day to make it a truly memorable and unique experience. 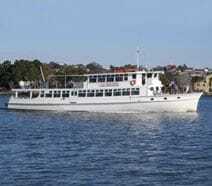 You could have your Wedding ceremony at the picturesque Rotunda at historic Newstead Park and then you and your guests board our classic timber vessel, the MV Lady Brisbane for your reception. 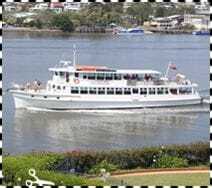 You and your guests will enjoy cruising the Brisbane River to an ever changing view of iconic scenery and landmarks. Your photographs can be taken using your favourite landmark as the backdrop. Your banquet options are planned to suit your own wishes, or we have several menu options to choose from for a sit down buffet, cocktail function of finger foods or something different. Our table decorating service will work with you to create your own special theme. READ MORE for catering options. For a unique entrance, the bride may arrive by Golden Gondola and meet the vessel after the guests have boarded. Or you could ask your guests to meet at a particular bus stop, for a mystery wedding venue. They are then guided to board Lady Brisbane to await the bride's arrival. The Lady Brisbane is a classic timber vessel showcasing Milkraft's traditional boat building craftsmanship: She has 3 decks, 2 saloons, a large dance floor, galley kitchen, bars and many covered and open air areas for viewing the magnificent scenery of our capital city of Brisbane. You can choose various departure points including Newstead Park, Mowbray Park, Riverside Centre or Southbank. For more information and pricing, call our Fabulous Booking Crew on 07 3630 2666 or leave your details on our Function Enquiry form. 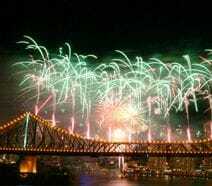 Having your wedding photos taken at sunset with perhaps the Story Bridge or Kangaroo Point Cliffs as backdrops are other popular cruising options. Our talented staff will work with you offering advice and suggestions to help you plan your special day. 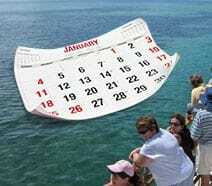 Why not organise a memorable Hen's or Buck's cruise? Choose from a private lunch, dinner, high tea or cocktail cruise. Prices vary according to group size, requirements and time of year.